The Foreign Exchange (FX) is one of the fastest-growing investment arenas today. Large institutional investors and hedge funds are big players in the forex market; and in the past three years, the Foreign Exchange market had an estimated 50 percent increase in volume. Some had credited this increase to the large activity created by the online currency trading for the retail investor. The forex market is an over-the-counter market, which means that there is no main exchange or clearinghouse. This is contrary to the futures markets which offer futures trading in "open outcry" and electronic access; which is transparent pricing through a trading platform. This en ables one to see the bids/asks and size, otherwise known as the "depth of market" (dome). In this book, we will be looking at the different aspects of trading the currency markets, including the advantages and disadvantages of trading the forex market. 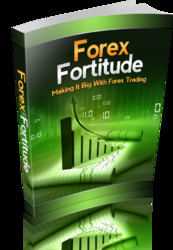 In addition, you will learn how to use other resources to make better decisions on when to enter or exit your forex positions. 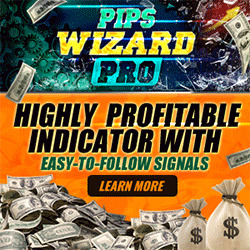 Trading the forex offers leverage, leverage that the individual controls. Through the use of margin, an individual investor has the choice to increase or decrease leverage through various means. Most currency firms offer 100 times leverage on a regular size account; compare this leverage to the leverage offered to the average equity investor, and you can see why many traders are more attracted to trading the forex. As mentioned previously, leverage in the forex market can also be customized to the individual trader, which means that a trader can choose to lower or eliminate leverage while trading foreign currencies.